Publisher: Blackie and Son Limited, London, Glasgow & Bombay. Country: U.K. Date: c. 1910-38. Described by F. D. How, pictured by E. W. Haslehust. London : Blackie and Son, ca. 1910 (Beautiful England series). ALSO: BEAUTIFUL SCOTLAND; BEAUTIFUL IRELAND; BEAUTIFUL SWITZERLAND. Series Note: "This series of beautifully illustrated volumes is an admirable record of what is most worthy of attention in some of our finest places. Each book contains 12 reproductions of original water-colour paintings by E. W. Haslehust [Ernest Haslehust], R.S.A. [Royal Society of British Artists], in a addition to descriptive text." -- Back panel of dust wrapper of Through London's Highways. Text by Walter Jerrold. Pictures by E. W. Haslehust, R.S.A. London/Glasgow, Blackie & Son, n.d. [c. 1940-45]. Each of these attractively produced volumes on some of the most scenic counties in the British Isles was written by an expert and features descriptive text throughout, twelve plates of watercolour paintings. Each volume had approximately 64 pages. The paintings for most of the volumes in this series were by E. W. Haslehust [Ernest Haslehurst]. In several volumes (e.g. Connaught; Leinster; Ulster) the paintings were by Alexander Williams. Many of the titles in the Beautiful England series were published in different physical formats (see discussion below about Format 1 and Format 2). 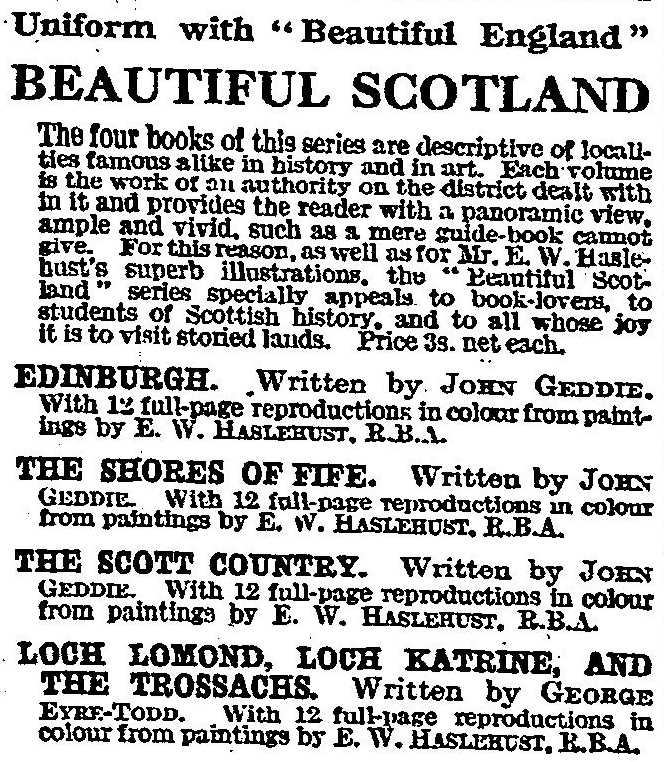 Three parallel series to the Beautiful England series were also published by Blackie and Son: Beautiful Scotland; Beautiful Ireland; and Beautiful Switzerland. Titles in all of these series were undated (i.e. did not include the date of publication). 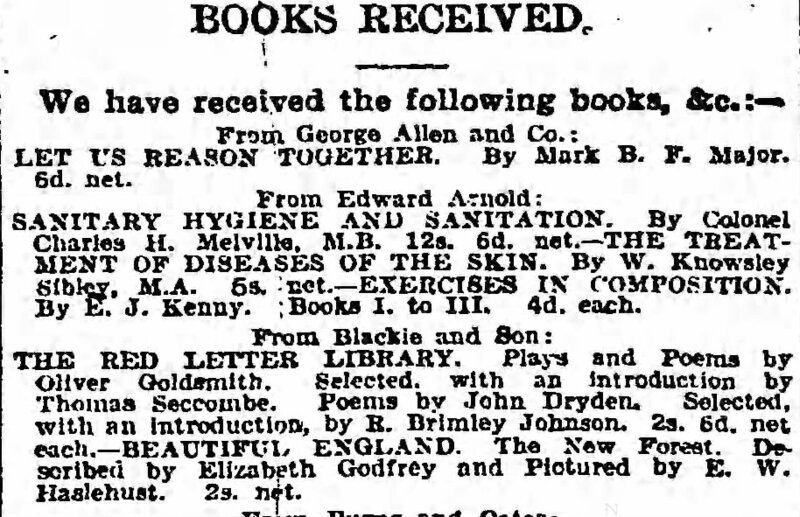 So, without access to the publisher's archives, we can only make educated guesses based on book listings in the titles and in publisher's advertisements, on booktrade journals of the period, on library accession data, and on personal inscriptions and dedications found in books in bookshops and in private and library collections. Hardback with textured beige cover featuring the title, a colour painting, and the names of the author and the illustrator. Issued without dust wrapper. Size: approx. 7 x 9 inches. No publication date included. 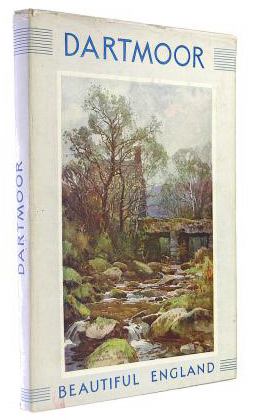 Hardback with a dust wrapper featuring the title, a colour painting and the words "Beautiful England". Again no publication date is included. 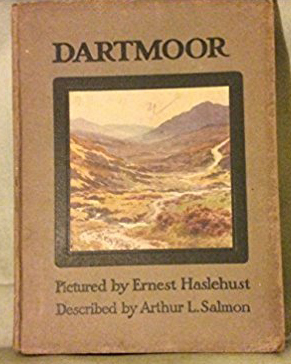 "We confirm that we have two physical formats of Dartmoor. #2 [i.e. Format 2] hardback with dust wrapper seems to be the earlier version while the #1 [i.e. Format 1] appears to be the second version. Text is exactly the same in both. Typeface is the same. Each printed page is identical in both versions. The only difference is that version #2 [i.e. Format 2] has the pages cropped slightly tighter; therefore, it is a slightly smaller book. On the other hand, the #1 [i.e. Format 1] is a bit larger with a much heavier hard cover. Pictures are identical, but juggled, i.e. not in the same order in the book. Book # 1 [i.e. Format 1], however, has page references for each picture. The references do not appear in #2 [i.e. Format 2]. (...)"
"In book #2 [i.e. Format 2] there are only nine titles listed under the heading Beautiful England and three under heading Beautiful Scotland. There are four addresses for Blackie & Son: one in London, one in Glasgow, one in Bombay and one in Toronto. The book, however, is 'Printed in Great Britain by Blackie & Son Ltd., Glasgow'. Book #1 [i.e. Format 1] lists 30 titles under the heading Beautiful England, four titles under the heading Beautiful Scotland, four titles under the heading Beautiful Ireland, and four titles under the heading Beautiful Switzerland. This book states that it was printed and bound in Great Britain." Short review of recent books in the Beautiful England and the Beautiful Ireland series. 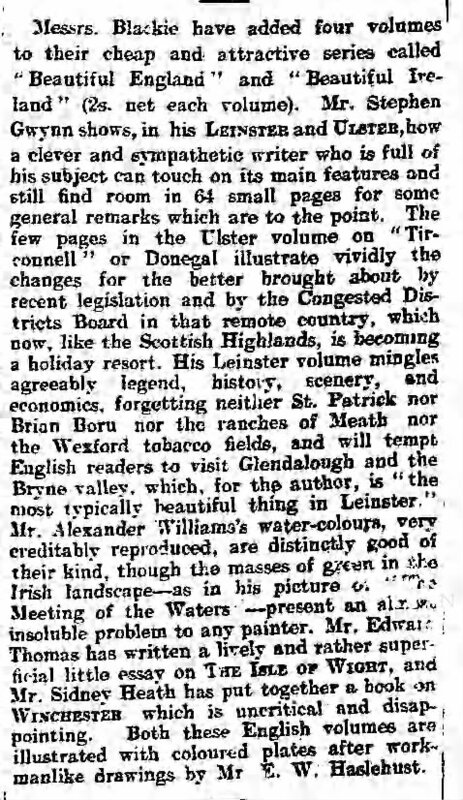 In: The Guardian (London), 1 July 1912, p. 3. "Where to go?" article, The Guardian (London), 19 May 1914, p. 6., col. 4. Re: Blackie's Beautiful England and Beautiful Switzerland book series. "Where to go?" article, The Guardian (London), 19 May 1914, p. 6., col. 5. Announcement of four titles in the Beautiful Scotland series. Detail of large display advertisement in The TImes (London), 15 December 1922, p. 18. "I had a look at the adverts and articles. One thing I noticed is that the volumes mentioned in The Guardian, 5 April 1912 are not listed in dust wrappered #2 volume that we have. They are all listed in the #1 volume [i.e. 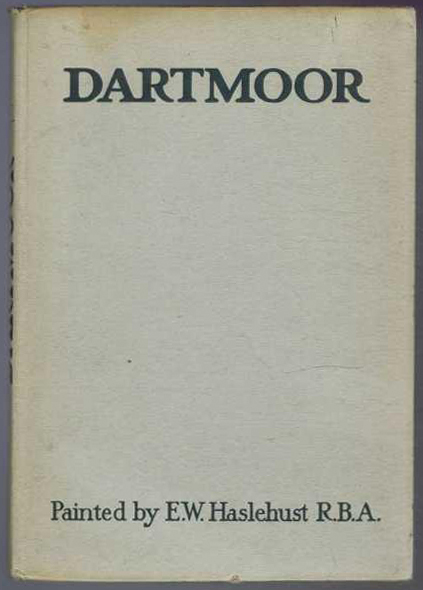 Format 1 of the Dartmoor title].. This is... evidence that the dust wrappered volumes [i.e. Format 2] were published first (i.e. before the Format 1 versions [issued without dust wrappers] of the same titles). Bath and Wells - Arthur L. Salmon [Arthur Leslie Salmon]. Bournemouth, Poole and Christchurch - Sidney Heath. Canterbury - Canon William Danks. Chester - Charles Edwards and J. H. E. Bennett. The Cornish Riviera - Sidney Heath. Dartmoor - Arthur L. Salmon [Arthur Leslie Salmon]. Dickens-Land - J. A. Nicklin. The Dukeries - Murray Gilchrist. The English Lakes - A. G. Bradley. Folkestone and Dover - Walter Jerrold. Hampton Court - Walter Jerrold. Hastings and Neighbourhood - Walter Higgins. The Heart of London - Walter Jerrold. The Heart of Wessex - Sidney Health. 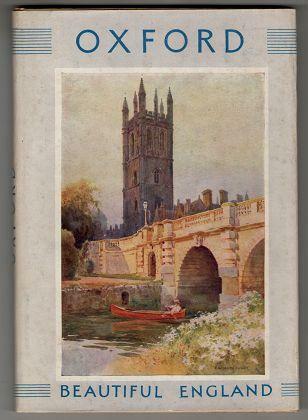 Hereford and the Wye - Charles Edwardes. In London's By-ways - Walter Jerrold. The Isle of Wight - Edward Thomas. The New Forest - Elizabeth Godfrey. Norwich and the Broads - Walter Jerrold. Oxford - F. D. How [Fredreick Douglas How]. The Peak District - R. Murray Gilchrist. Rambles in Greater London - Walter Jerrold. Ripon and Harrogate - R. Murray Gilchrist. Through London's Highways - Walter Jerrold. The Thames - G. E. Mitton. Warwick and Leamington - George Morley. Windsor Castle - Edward Thomas. Loch Lomond, Lock Katrine and the Trossachs - George Eyre-Todd. The Scott Country - John Geddie. The Shores of Fife - John Geddie. Lausanne and its Environs - G. Flemwell. Villars and Champery [Villars and its Environs] - G. Flemwell.